Since my early childhood, the Barn Swallow has been for me one of the most recognizable and beloved of the migrating birds. That elegant forked tail - the reason we even say "swallow-tail" to describe other birds and other things. The iridescent blue back and rufous breast. The way large numbers of them weave through the sky snatching gnats on the wing and then darting under bridges and over water. All this was plenty to catch the attention of a curious child. As a boy growing up in Nampa, Idaho, we had an irrigation ditch that ran right next to our home; the Phyllis Canal. In the off-irrigation season, we'd dig in the sandy bottom of the empty canal and find hundreds of golf balls - casualties of the local hackers, but veritable treasures for the young boys of the neighborhood. In the summer, we'd float the canal on inner tubes. As the canal meandered all through the town it would pass under several bridges. Usually the bridge was just high enough above the water that we could safely pass under it on our tubes. There, under those bridges, is where I had my first up-close experiences seeing Barn Swallow nests, eggs, and chicks. I also remember finding injured or genetically deficient young swallows occasionally in our yard and in each case trying unsuccessfully to nurse them back to health. Early and meaningful lessons in the circle of life. Hirundo Rustica (Latin for country swallow or rustic swallow) is found pretty much all over the world - see eBird world range map. 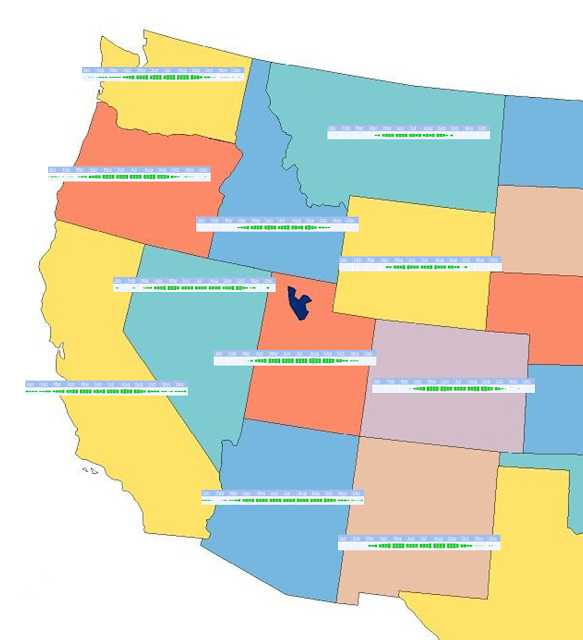 See below for another animated eBird map based on our collective sightings of the Barn Swallow in North and Central America, as well as the range map from Cornell. Of particular interest to me are the winter ranges along the west coast and in Florida. 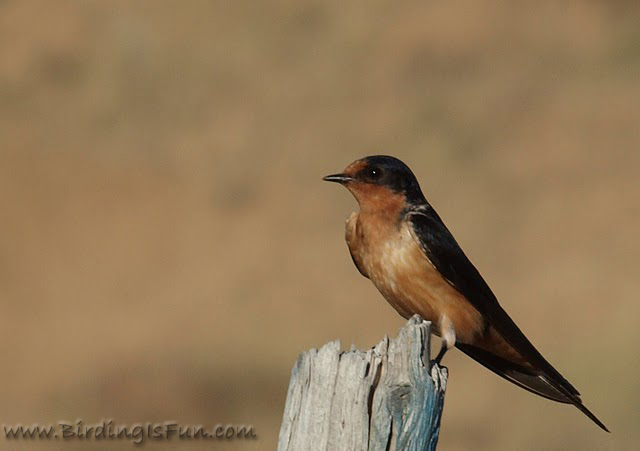 In Utah, I can expect to see my first Barn Swallows in the 3rd or 4th week of March and they are gone again by the 3rd week of November. When I lived in Idaho, their seasonal tenure was a bit shorter; arriving in the first week of April and gone by the end of October, but Montana and Wyoming both have Barn Swallows for even less time. While in Arizona, it is possible to see them all year round, except for those first two weeks of February. Great birds. They protect the garden and don't eat my berries. You always amaze me with your ability to pull all of this data out of eBird and present it in such a meaningful way! Love the photos and the info. It's always fun when I see something like this to think that my data led to this data because some of my sightings of barn swallows were in AZ when I lived there! This is so COOL!